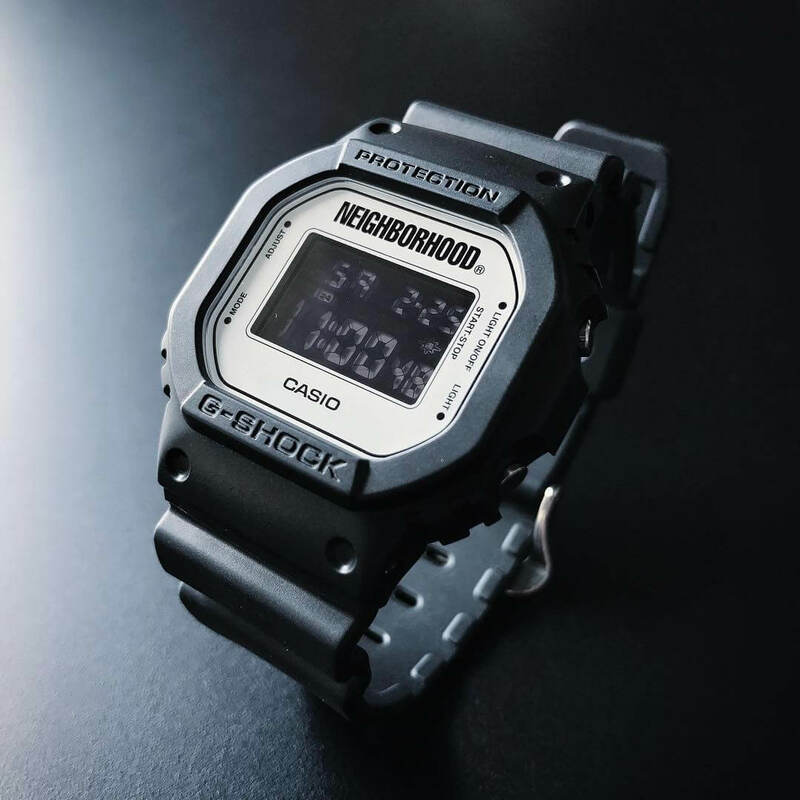 Tokyo-based fashion brand Neighborhood Technical Apparel revealed a new Casio G-Shock DW-5600 collaboration watch for 2017. The watch has the same stealth black bezel and black bands as the 2016 Neighborhood collaboration watch and a reversal of face colors with black letters on a clean white background. Like the 2016 edition it also has a reverse LCD display.